I’m back, baby. After two amazing years reporting at the Lindau Nobel Laureate Meetings, I gleefully signed up for my third. But there’s a twist. This year’s focus is on chemistry, and I’m a physics nerd. What’s a gal to do? 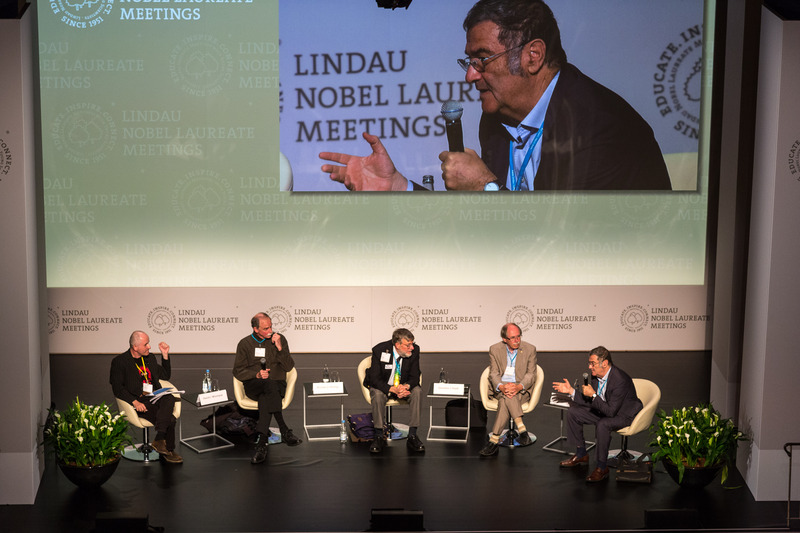 I did what any sound-minded, giddy geek would do: Jump at the chance to jet to the foremost conference of Nobel Laureates, to become educated by, connect with, and be inspired by the chemistry community, which by no coincidence is also Lindau’s leitmotif. I look forward to an amazing week of lectures, master classes, conversations, and prime networking, with both established and emerging leaders in chemistry. Remember this meeting is being attended by up to 30 Nobels, and more than 400 young scientists from around the world. And, because this is Lindau, there will also be a few Nobles participating as well. Thank you Countess Bettina! Like last year, I will be reporting from this true #NerdHeaven throughout the week, blogging, and of course, tweeting up a storm. Follow me @AlainaGLevine and via the hashtag #LiNo17. So stay tuned. Now of course because I am a comedian (and oh so clever), you can totally expect that I will be inundating you with tons of chemistry jokes. It is how we will bond. And if you play your cards right, I might just end up writing in formulae. But speaking of the language of chemistry, there is nothing formulaic about Lindau. Even though there is a schedule (and it is packed! ), there are always surprises to be had. Go around one corner and see Dr. Mario Molina, the Nobel Laureate who discovered the whole in the ozone layer. Take a stroll to the Grill and Chill, and hang with Dr. Bernard L. Feringa and listen as he highlights his talk on the joy of discovery. Or bump into Dr. Klaus von Klitzing, like I did last year on his birthday no less, and watch in amazement as he takes his Nobel Prize medal out of his jacket to show it to you. You might even get a chance to touch it! 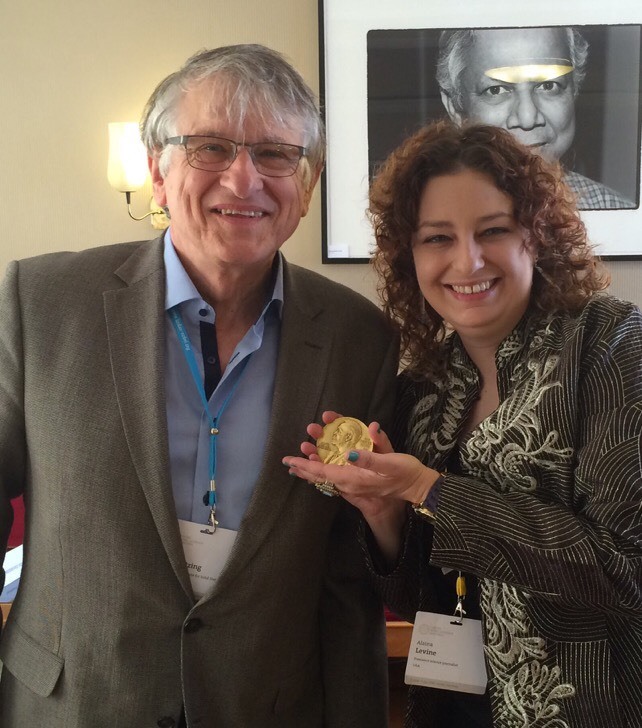 You can read my story, Lindau: The Day I Got the Nobel Prize, which shares that experience. I am sure you have studied the agenda for Lindau with the same velocity and ferocity as you approached picking your PhD dissertation topic. So you probably noticed that on Thursday, 29 June at 15.00 hrs there will be a very special panel discussion on Science Careers. But did you notice who is on that panel? Did you see the chemistry celebrities that Lindau lined up to share their experiences? And did you also see that yours truly is moderating the panel? That’s right – I am so excited about this I even brought a suit for the affair. Thomas L. Gianetti, Postdoctoral Associate in Chemistry and Applied Bioscience, ETH Zurich, Switzerland: Dr. Gianetti, an early career scientist, will share his insight and perspective as a young scientist attending Lindau and launching his career. 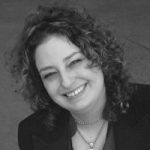 May Shana’a, Head of Research & Development, Beiersdorf AG, Germany: Dr. Shana’a has more than 26 years of expertise in the management of global R&D organizations of multinational companies. For 20 years she worked in skin care and cosmetics. Most recently she led the global R&D organisation of Ashland Specialty Ingredients (ASI), located in Bridgewater, USA. Before that the Lebanese-born Shana’a assumed international leadership positions in the research departments of Johnson & Johnson and at Unilever in the company locations in Italy, the U.S. and in the UK. She is among the world’s leading innovation experts in skin care. Dan Shechtman, 2011 Nobel Laureate in Chemistry and Professor of Materials Science and Engineering, Technion – Israel: Dr. Shechtman, whom I had the pleasure of interviewing last year, is known as the father of entrepreneurship in Israel and has also made it his mission to educate and motivate young kids to go into STEM with his development of a kids science TV show. Wiltrud Treffenfeldt, Chief Technology Officer Europe, Middle East, Africa & India, Dow Europe GmbH, Switzerland: Dr. Treffenfeldt serves as a Consultant to the German Ministry of Education and Research (BMBF), and is Global Director for Europe, Middle East and Africa at Dow. She serves as a Director for Bioprocess Development of The Dow Chemical Company, USA. She joined Dow Germany as Leader for Corporate Biotechnology R&D in Europe in 2001 and then Dr. Treffenfeldt has been R&D Director for Biopharma since 2004. The main focus of her responsibilities is the development and implementation of strategies in the areas of human and animal health at Dow and Dow AgroSciences with the goal of creating sustainable value within the biotechnology sector. Sir John E. Walker, Emeritus Director, Medical Research Council, Mitochondrial Biology: Dr. Walker won the Nobel Prize in Chemistry in 1997, and as of 2015, he is Emeritus Director and Professor at the MRC Mitochondrial Biology Unit in Cambridge, and a Fellow of Sidney Sussex College, Cambridge. We plan to delve into many different elements of crafting successful careers in science, including how to handle challenges and failure, what skills are necessary to advance, and how can one stand out in the crowd. We will also have a very frank but organic discussion with the panelists in which they will describe their own jobs and career paths, and the lessons they have learned which have shaped their success. Be prepared to be amazed! You can easily see that this panel will be a fabulous enzyme which will truly catalyze your career! The advice they will give will be so “neat”, I can’t even. So folks this is just a nanosample of what you can expect at this stellar meeting where the stars shine bright, the science is chill, and the networking is chem-tastic. I can’t wait to see you in #NerdHeaven!